For example, we both do not like film soundtracks—in particular, the idea of casually listening to recordings of film soundtracks. While I might not be quite as vociferous about this as I used to be, I’m still going to argue that most soundtracks are essentially just classical music from an alternate dimension where every composer was dropped as a baby, and that there is similar but objectively more interesting music out there for 95 percent of released scores performed before, say, 2000. And yet, I have been thinking about film music a fair amount recently. A bit of Lawrence Kramer’s very good, extremely dense summa of the New Musicology movement, Interpreting Music, made me wonder if my (justified) dislike of film scores proper has made me forget the ways in which they can be interesting to examine as elements within the film. Kramer brings up film in his last pages, where he talks about There Will Be Blood. As the oil well begins pumping, an orchestra performs a concerto by Brahms, the only tonal music in the film. The music grinds against the soundtrack that fills the rest of the film: grim, dissonant music for strings, the sound of machines and misery. The Brahms anticipates the spread of culture along with capitalism. The strings anticipate the future of vehicles and machinery and pollution. Kramer’s point is valid – and, as he points out, the more one knows about classical music the richer the irony is. I want to look briefly at another piece of classical music in a film: Hanson’s Symphony No. 2 in Alien. 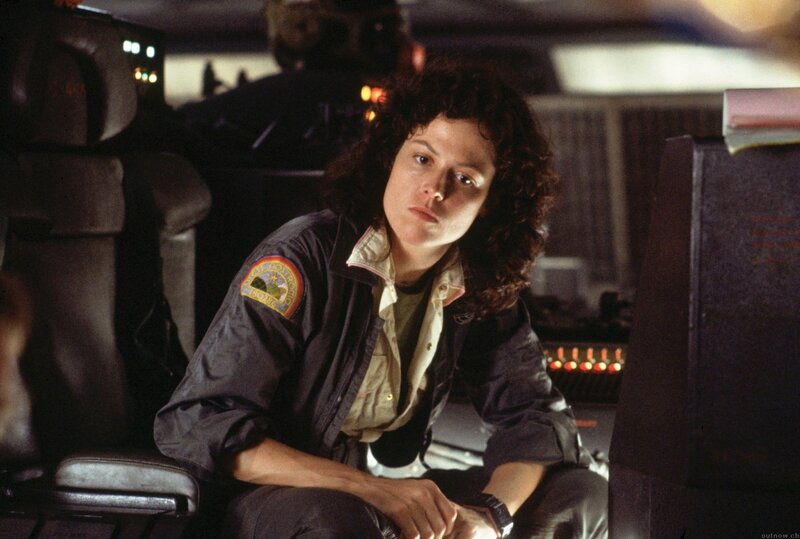 Alien is balanced between two eras of science fiction and horror, and the score reflects it. It opens with tense, drone-y strings as the crew begins to wake up. This, Alien says in its opening shots, is not the space of Star Trek, where mystery is welcome and the exception is to be sought out. This interruption of mystery into these truckers’ lives is frightening. But as the scene begins to develop, the score cues turn more romantic—more what one would expect from Jerry Goldsmith (and closer to his Star Trek scores). What is interesting, though, is that they are more likely to be attached to any character except Ripley. They’re mostly attached to Dallas. 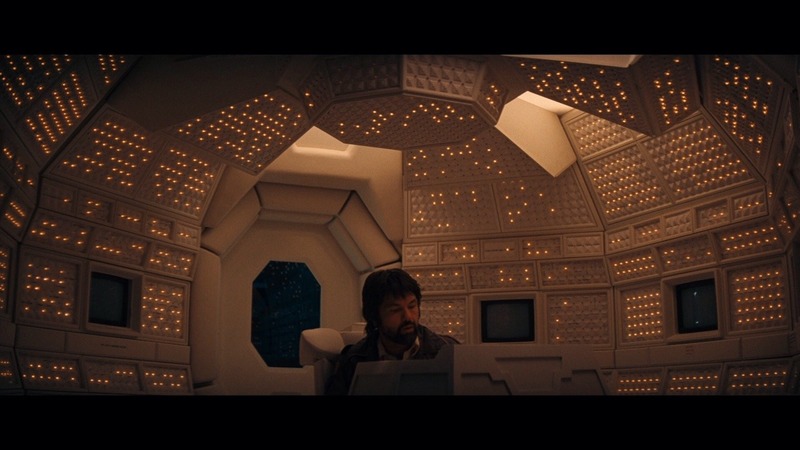 In fact, Dallas is the only character in Alien associated diagetically with music; he listens to Eine kleine Nachtmusik in the observation deck. The score singles him out as the Romantic hero. So what does the film look like with him as the hero? Dallas fits the position of the space rogue, along with Captain Kirk and Han Solo (two characters whose associated music is not dissimilar to Goldsmith’s Alien score, if more consonant). He trusts in his pragmatism to get him through—as opposed to Ripley’s rational, systematic responses. That is, inside his supposed cynicism—“I don’t trust anyone but myself,” he tells Ripley, when she voices (it turns out, justified) concerns about Ash—is a deeply romantic trust in some inner sense of what to do. That kind of trust in one’s own ability to make sense of the exception is what one sees in Kirk every week: a strange thing happens, Spock points out its illogicality, and Kirk figures out a way to make it fit within the system of knowledge (the system of figuring out planets, one by one, the system of scanning the universe and making it Cartesian). That Romantic devil-may-care improvisatory attitude, then, is actually trust in a system made abstract. Dallas believes he knows how the capitalist system works, with the absent “company” sending the AI Mother as its representative. He doesn’t try to figure out why they are stopping at a particular planet; he assumes he understands, because, as a rogue, he knows the system. That’s exactly the kind of Byronic deep individualism that the Romantic music of Alien‘s score celebrates. Ripley, rational and careful, doesn’t get anything like that for the first half of the film. She doesn’t even get dissonant strings. She’s an absence in the logic of the score. The irony is that Ripley’s belief in the rules and suspecting only those who are suspicious would have brought the crew home safely. She rightly points out that the be-Alien’ed Kane should stay outside for 24 hours, which would have saved everyone else; she rightly points out that Ash is suspicious as hell. By not treating the situation as exceptional, she would have saved the day—but she gives up her place within the film score, which only acknowledges the exception. After Dallas dies, Ripley suddenly becomes a totally different character. She begins to develop a series of Kirk-like solutions, and gains a place in the score, although mostly just when she wanders around and gets spooked. Which leads us to the Hanson quote. The second movement of Howard Hanson’s Symphony No. 2 begins playing the moment the Alien is destroyed by the engines. Hanson’s symphony is, frankly, dull, the kind of composition that gets dragged out by symphonies doing music aimed at the public to prove the modern world is not all dissonant and scary. It does, however, combined with shots of the stars, give a sense of the grandeur of space (so much so, in fact, that John Williams used the same symphony three years later for the basis of his soundtrack to E.T.—listen to the former and then the latter, and you’ll never unhear it). 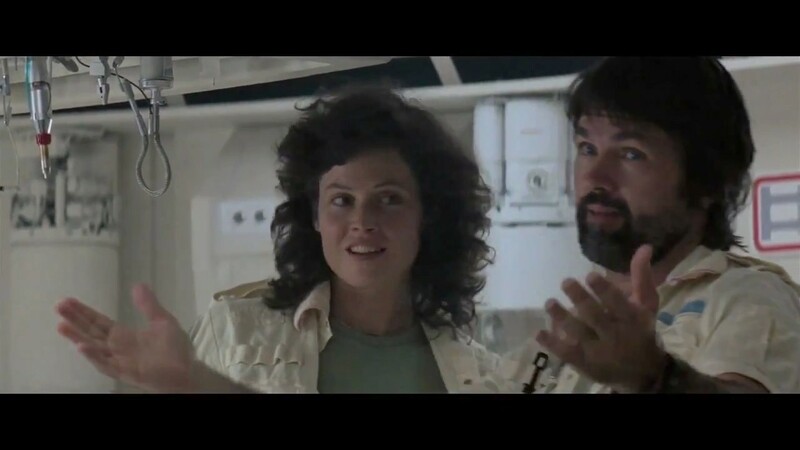 The score quotation puts Ripley explicitly in the line of Dallas, and explicitly in the line of the romantic space hero. She can re-establish the system: humans can survive in space, space travel is safe, the human dominion over space continues to expand. Hanson’s music is jarringly joyful for Alien, and only makes sense within these meaning structures. Especially because it is joined to a strange action of Ripley’s: she broadcasts a message as a survivor and attempts to float back somewhere to be picked up. Why, though, does she expect to be? After all, this omnipotent company has shown they have no respect for human life, and she knows about their plan. Is she expecting to stay quiet about the “secret order”? I would argue, no, as we see in the sequel. Ripley is depending on exposure to save her. She is relying on the fact that, once she tells her story, she will be safe—a surprising lack of paranoia. But her trust in the message’s exposure ties her back in to Dallas’ logic, the logic of Kirk: continue to spread information and the system will figure it out. I want to return briefly to Kramer’s book. 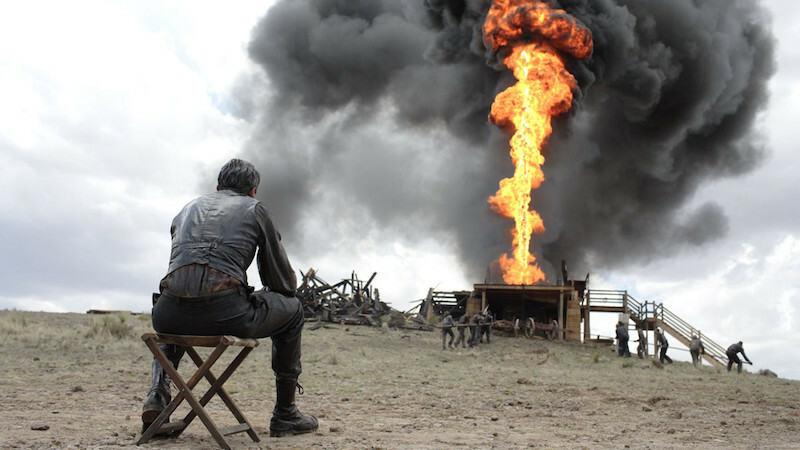 Kramer’s reading of There Will Be Blood (reading is a strong word – it’s an aside that takes up about a page) is interesting, and points out the importance of interpreting the scores of films within the context of classical music’s reception. But on the other hand, I think it is too easy to notice this only in cases like There Will Be Blood, where the point is an ironic juxtaposition of consonant and dissonant music. That type of reading always turns out the same thing: modern vs past, and so on and so on. Alien’s score also combines dissonant and consonant music, and they also serve to contrast one another. But in some ways, the Romantic music represents the future: the future of systems and logic, and the individual human trying to trust their inner self, for better or for worse. And I’m not sure the two tonal approaches are in direct opposition as much as they represent an internal struggle. And I’m not sure it’s fair to automatically associate Romantic with human and dissonant with inhuman. After all, the robot Ash gets a few reasonably Romantic cues—although he hides in plain sight by being more human than human (making an “exception”, for example, to let the wounded Kane in). And most importantly: this is not merely a statement that film scores are more “interesting” than I thought. As pure music, I still think the Alien soundtrack is forgettable. And I still suspect that people who listen to film scores are listening for the purpose of forgetting a film more properly: forgetting anything difficult or knotty about it and reducing it to their simplest memories of genre tropes. I am simply wondering if reading scores within the history of classical music can reveal new aspects of the films themselves as films, and can shock us out of overly-familiar readings. And regardless, it is true that there’s no reason to pretend film scores have the monopoly on being boring.